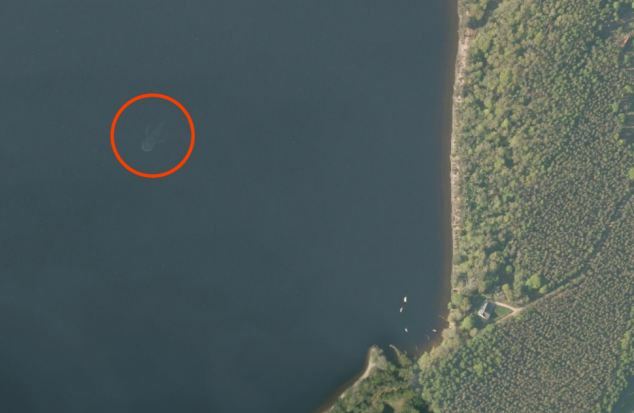 Several media outlets simply cannot resist the temptation of promoting this image of a ship as the Loch Ness monster, captured by satellite and seen on Apple's map application for the area (provided by DigtalGlobe). At first glance once zoomed in, and with the suggestion of it being "something" organic, it's easy to imagine a large fish like creature in the image. However, anyone familiar with large ships will easily recognize the "head" as a bow wake, and the "fins" as the ships wake, with the "tail" being chop from the propeller. With a modest image enhancements, you can actually see the edge of the bow, parts of the superstructure and most notably a large stern arch common on fishing trawlers used for hauling in nets. Once you recognize the rectangular outline of a ship inside of the wakes, the the stern arch and superstructure, the illusion of a large whale shark looking creature is hard to regain. 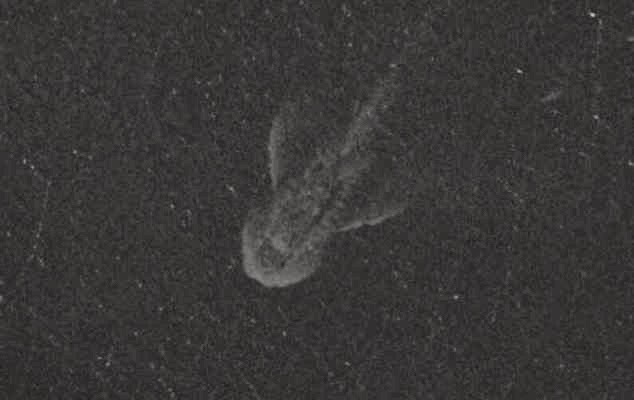 It is not clear why the ship itself does not show up in the map, but strange artifacts can happen to mosaic images when they are stitched together with software. This is clearly some cross colorizing of the ship and the vast monohue coloring of the surrounding water, not a mythical monster.